1. 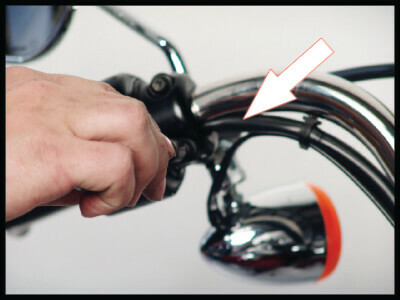 Remove the lower screw from the left handlebar clamp. 2. 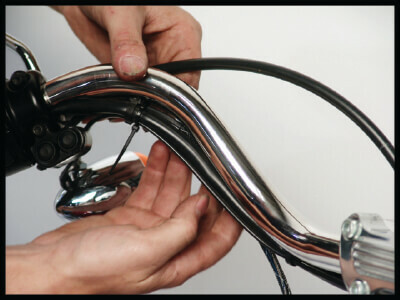 Install the switch assembly over the lower screw and tighten to 60-80 in-lbs (6.8-9.0 Nm). 3. 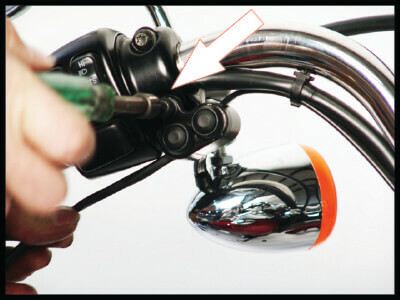 Route the switch harness wiring along the handlebar and secure using the cable ties supplied in the kit. 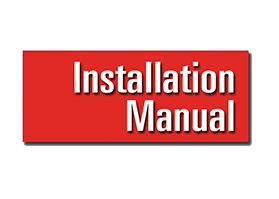 Wiring is longer than what most installations will need to allow installer to trim excess once the routing and connection locations have been determined. 4. Cut wires to appropriate length and strip the insulation back approximately 1/4” from the end. 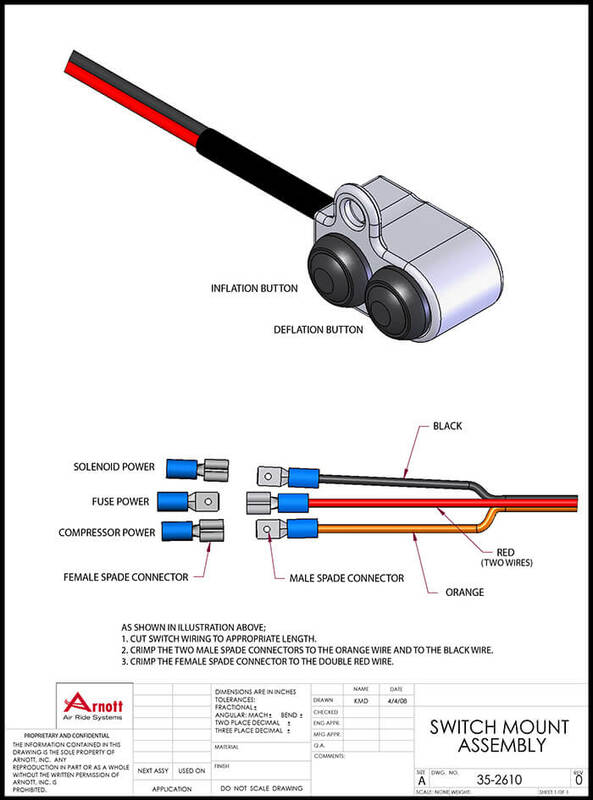 Crimp female spade connector onto the two red wires that connect to fuse. Crimp male spade connectors to the compressor and solenoid power wires. 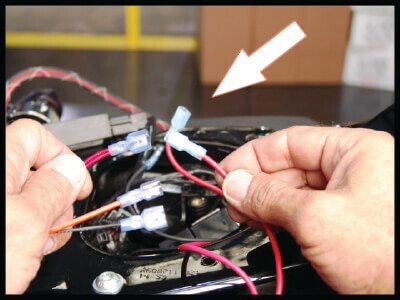 Wiring instructions are provided in kit for reference.